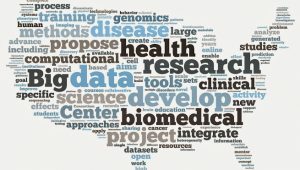 In response to the need to expand and tailor BD2K learning for new audiences in bioinformatics,medical informatics, and biomedical applications, this project will create online teaching materials, services, and training that can be deployed to instructors and students via open educational resources. This project, funded by NIH, makes it easy for instructors to “dip a toe” in active learning by adding open-response concept test questions to a class using a standard Moodle platform. Supplementary funding through OID is supporting development of the Open-Response Concept Test (ORCT) module forCCLE so this technology can be used by UCLA instructors campus-wide. Learn more about NIH BD2K. For more information, please contact Professor and Project PI Chris Lee (Email: leec@chem.ucla.edu).